Singapore Athletics Association main committee earlier at the Bishan Stadium today, met and spoke to IAAF President Lamine Diack, and IOC Athletes’ Commission Frankie Fredericks. 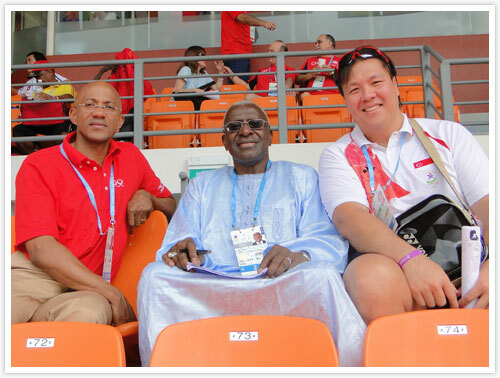 SAA President Mr. Tang Weng Fei spoke in length with the 77-year old IAAF President. He was seen in a joyous mood, complementing the outstanding preparation and planning made by Singapore in hosting the inaugural Youth Olympic Games.